We can’t rule that out. But isn’t it also crazy to read a series, trilogy or duology (or it called a duet?) with no guarantee that it will be completed? And what if the books feature one main couple? What if you don’t get to see their HEA? The horror! Risk #1: The series is abandoned. The first book can be a masterpiece but it doesn’t find an audience. The publishers decide they don’t want to continue the series, or worse, the author gets distracted by something shiny and new. Risk #2: There’s a long wait between books. Don’t you hate that? 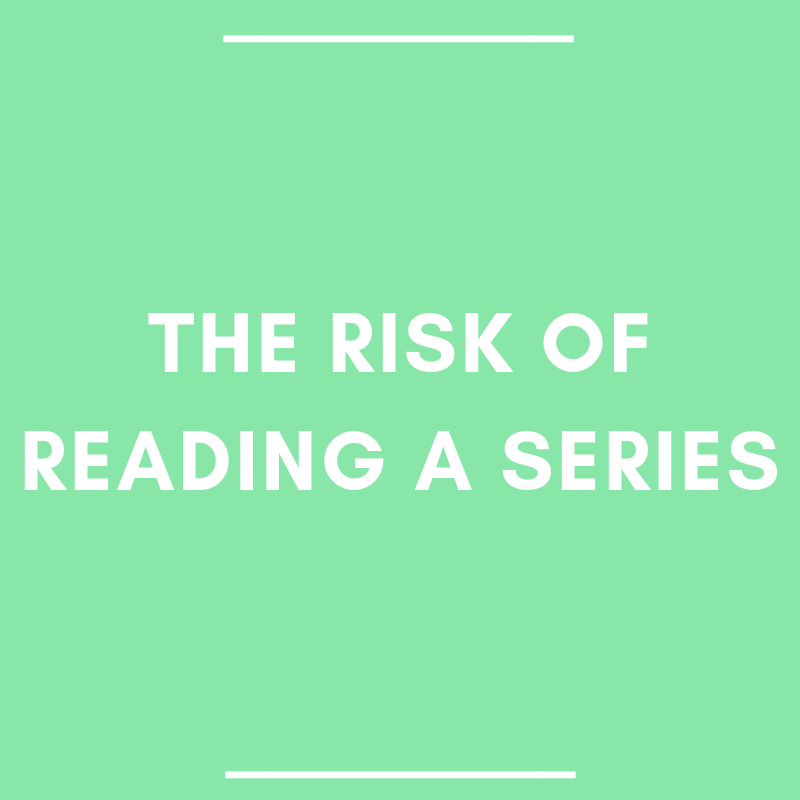 Risk #3: the Happily Ever After doesn’t happen until something like book 5. Can I even consider books 1 to 4 a romance if I don’t get my HEA? And don’t give me a mini-HEA and rip it away in the last scene. Are the author and editor just trying to find more ways to torment me? Risk #4: the hero or heroine does something STUPID and out of character so there will be another book. Ugh! And this is why I will wait until the series is complete before I start reading it. Sure, I might miss out discussing it with others, but it’s very rare for everyone to read the same book at the same time and at the same pace. Also, because I waited, I get the chance to read the books back-to-back. I can binge-read, knowing that the next book is one-click away.